G903 is Logitech’s most fully featured and advanced wireless gaming mouse currently sold in the market. With its 1ms LIGHTSPEED wireless support, the mouse can generate competition-grade accuracy, responsiveness and performance without a cable. You will never need a charging cable when using the G903 coupled with the Logitech wireless charging mouse pad. The mouse is light in weight (110g), well built and has up to 11 buttons. Logitech are known for inventing the LIGHTSPEED wireless technology used in the G903. LIGHTSPEED aims at delivering high-performance wireless gaming without the associated input lag. The company also optimized all the components of the mouse to maintain strength and reduce weight (import for FPS). Such a design makes G903 a full-loaded wireless mouse with quicker response to motion and suitable for extended periods of use. The G903 comes with a number of accessories including a detailed user documentation and accessories case. It also comes with USB charging/data cable, LIGHTSPEED USB receiver and an optional receiver extension adapter. You can order optional button covers (1x right and 1x left) and optional side buttons (2x right and 2x left). Logitech guarantees the G903 with a 2-year limited hardware warranty. 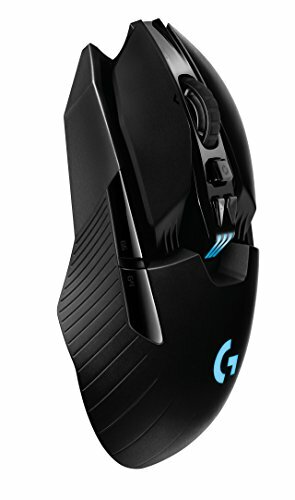 Logitech G903 LIGHTSPEED has 11 mechanical buttons and can support two more on the left side and two more on the right side. A magnetic panel attaches to the side, providing two extra buttons. The G903 scroll wheel has a resistance-free option when working on creative projects or scrolling web pages. When held on the hand, it feels more ergonomic than it's competitor the Razer Mamba Wireless. G903 can go up to 32 hours when you deactivate its default lighting. With the lighting turned on you can expect around 24 hours use. The Power play wireless charging feature allows you to power the mouse on a Power core disc or mouse pad. As the world’s first wireless gaming mouse charging system, Power play can keep your mouse charged as you game, useful for longer game time. The dual wheel of the mouse if ridged, hence helping in precision scrolling. The scrolling wheel can be clicked in three different directions (left, right and down). The G903 has customizable RGB lighting, which you can urn off completely. The optical sensor is adjustable from 200 to 12,000 dpi. Another excellent feature is the ability to switch between using customized profiles saved on the mouse on board memory to letting the Spectrum automatically detect the games on your PC and set up profiles accordingly. Lastly, the device can be tuned to different surfaces such as mouse pads or desk to maximize on the sensors tracking accuracy. To achieve this, load up the software and follow the on-screen instructions. When tested on different surfaces, there is a noticeable improvement. G903 stands out from its competitors in terms of its wireless response rate (1ms), and overall accurate feel. The gaming mouse features Logitech’s flagship LIGHTSPEED wireless technology designed to give gamers unnoticeable and incredible response rates. The technology proved efficient when it first featured in Logitech’s previous products including the G613 wireless keyboard. With a 32-bit ARM microprocessor and 1000 Hz USB response rate, G903 has unmatched responsiveness. Its USB data format stands at 16 bits/axis on USB 3.0 ports to offer you latency-free gaming experiences. The Logitech G903 also boasts zero filtering, acceleration or mouth smoothing. Logitech used the PMW3366 optical sensor that boasts of 200 – 12,000 DPI range. The optical sensor can deliver consistent responsiveness and exceptional tracking accuracy at any speed. Logitech advises the buyers to use the surface tuning feature in the device’s software to maximize the sensor for better speed and accuracy. The PMW336 optical sensor has a maximum speed of over 400 IPS4 and maximum acceleration of over 40G3. The Battery Assistant coupled in Logitech Gaming Software alerts you when the battery level changes with a timing estimation until it's flat. 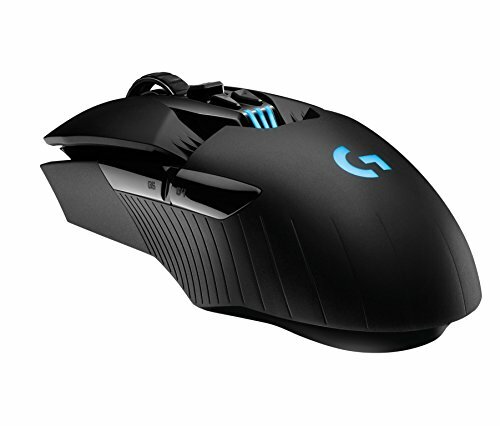 The mouse also uses Logitech’s exclusive clock-tuning technology to minimize the power consumed by the optical sensor. Unlike other gaming peripherals the Logitech, G903 has an incredibly useful local memory. The memory allows you to save five different profiles every time you are using the mouse. Gamers who want specific settings when playing different games will find the profiles useful. The button found on the bottom of the mouse also allows you to manually toggle through G903’s presets. You will need to download the Logitech Gaming Software to customize the 11 programmable buttons. The software allows you to configure the onboard memory or adjust the DPI shift settings. The right and left buttons come with mechanical pivot hinges for increasing the device’s performance. You can also make the most out of the side buttons using the pivot hinges. G903’s buttons have a switch mechanism and a wonderfully designed light actuation point. When using the mouse, it felt smooth and precise. Logitech gives you the freedom to add optional side buttons (two on the right and two on the left). You also have the option of using one button cover on the right and one button cover on the left, depending on your preferences. Microsoft received reports from clients trying to use USB and onboard devices such as G903 on their PCs or laptops that run on Windows 10 on February 2018. The company responded by releasing a new update (KB4090913 OS Build 16299.248) that aimed at resolving this issue. The company also urged the users to stick to the Microsoft Support recommendations and have their computers installed with the latest Windows 10 update. Logitech G903 is superior to its competitors thanks to its LIGHTSPEED technology and highly accurate optical sensor. 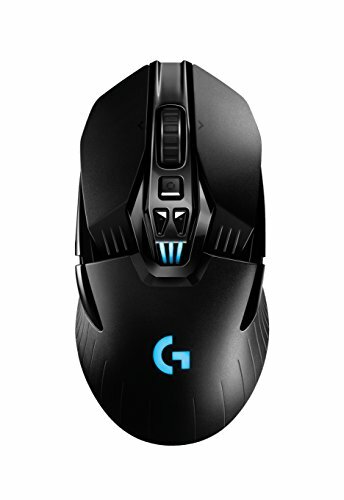 If you're looking for an excellent wireless gaming mouse and don't mind paying a little more then then we highly recommend the Logitech G903. Note that you'll want to grab the compatible mouse pad for the wireless charging system.